At my last doctor visit, I was informed that my baby is the size of a cantaloupe and weighs more than most toddlers. Which means I can literally drop this sucker at any moment, even though I am not due for another week and a half. To start getting ready, it’s time to pack the hospital bag. Pack my phone and charger, toothbrush, toothpaste, lotion, deodorant, and hairbrush. Realize that I need these items on a daily basis. Remove from bag. 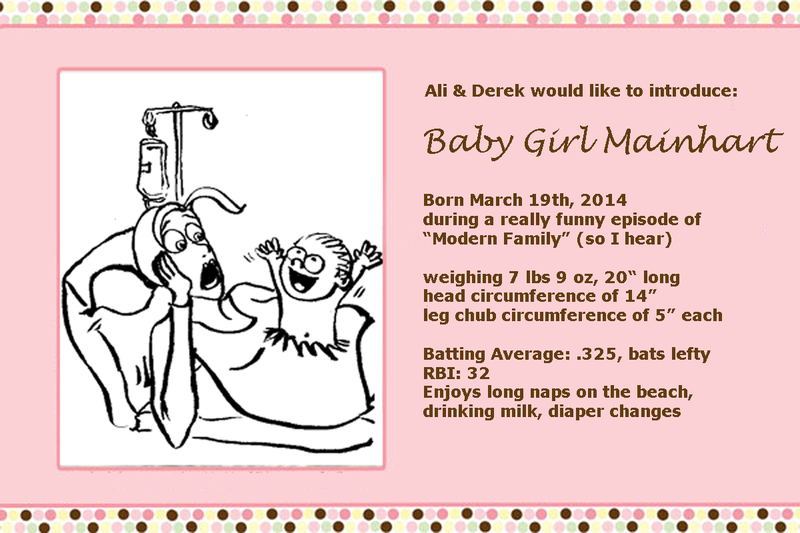 Pack an oversized hoodie, slipper socks, and a pair of XXL jogging pants purchased specifically for post-birth. Those jogging pants look comfy (and would probably stretch over my cantaloupe stomach.) Put them on. Pack some snacks in case the hospital food is disgusting. Granola bars, some crackers, chocolate, a bottle of water. Worry that food will go bad if left in bag too long. Eat the granola bars. Pack reading material for down time: “What to Expect…,” parenting magazines, Us Weekly, Sudoku book, some Oprah recs I never got around to. Remember that most down time was spent sleeping or trying to shake down nurses for pain meds. Plus, those books are heavy. Remove books. Leave Us Weekly. Should probably eat the chocolate now, so it doesn’t melt all over the contents of bag. Add items to relax me during the delivery: aromatherapy candles, soothing music on my iPod, massage oil, lighter. Husband reminds me that I am having c-section. Add my insurance cards, ID, and some cash. Need these for my last doctor appointment (when I’m sure he will tell me my baby is the size of a watermelon, and is big enough to start shaving). Put back in wallet. Eat the crackers from bag. Add an outfit for baby to come home in. There is a small stain on the front of the sleeper. Try to find another outfit. Really like that first outfit, except for stain. Can only picture my newborn in that outfit. Remove it from bag so I can wash it. Will probably have to wash my jogging pants too, since they now have chocolate and crackers on them. Try to locate my camera for newborn hospital pictures. Can’t remember the last time I actually used a camera to take pictures. Also, I hate how I look in pictures. Will probably want pictures of the baby, though. Unless she comes out looking like Hume Cronyn from Cocoon. Still can’t find camera, but did find more chocolate. You will get pregnant in high school. You will get pregnant in your early 20’s and not know which of the two bartenders at The Leopard Room is the father. You will never want to get pregnant, until your best friend gets pregnant and makes it look fun. You will get pregnant and find it is not fun. You will not want to get pregnant until after you travel to Greenland. You will never travel to Greenland. You will not be able to use mind control to manipulate when you get pregnant. You will be scrutinized and questioned by “loved ones” as to why you are not pregnant yet. You will be mistaken for pregnant after eating a large stack of pancakes at IHOP. You will not realize you are pregnant until after Tequila Tuesday. You will accidentally poop the baby out. You will have morning sickness that lasts for nine months. You will gain weight, but people will simply think you’re fat. Your innie will become an outie. You will give birth before you get a chance to go away on a romantic child-free retreat with your husband. You will give birth during a romantic child-free retreat, in a log cabin in Pennsylvania, with nothing but a retired midwife and a boiling kettle of water. You will not be able to recognize the signs of labor, and will tell your husband you have indigestion. Your water will break and you will merely think you are incontinent. 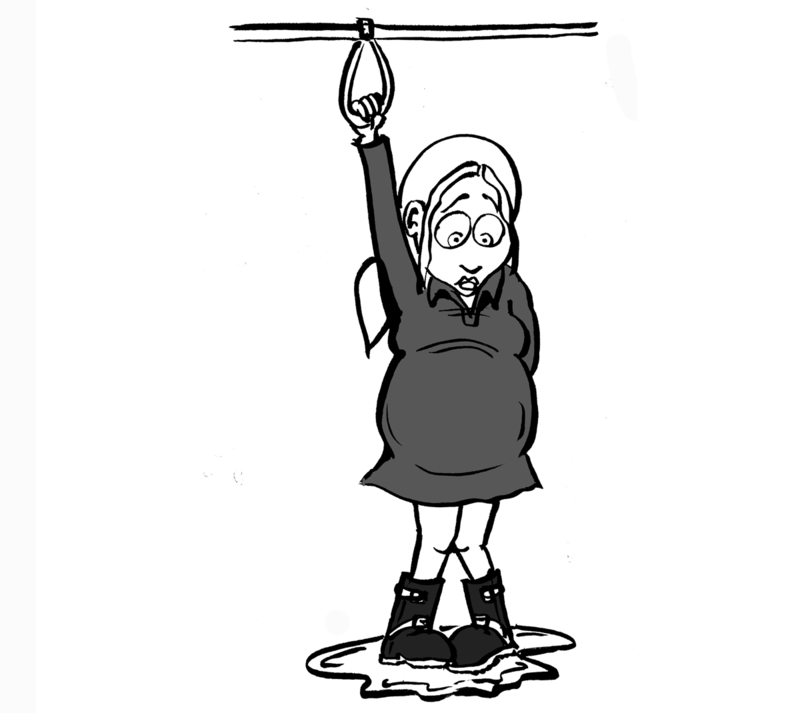 Your water will break while you are wearing your new cashmere sweater dress. 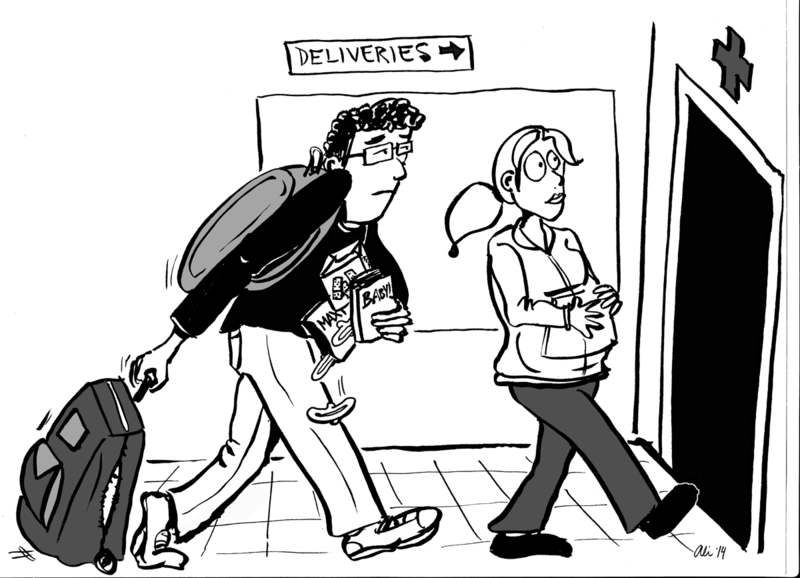 You will go into labor while on the subway…and still not be able to get a seat. You will go into labor while teaching, and a 7th grader will have to run and get the school nurse. You will give birth on St. Patrick’s Day, and there will be no empty hospital beds. You will go into labor and the hospital will be fresh out of epidurals, and they will offer you ice shavings instead. You will be in so much pain, you will promise your nurses monetary awards if they fill your spinal column with the sweet nectar of anesthesia. Your labor will last longer than all of Peter Jackson’s movies put together. You will give birth, and the doctor will inform you that there is an extra “surprise” baby in there. Your baby will look like Benjamin Button.